Wouldn’t it be great to be able to use that pattern with another fabric panel? 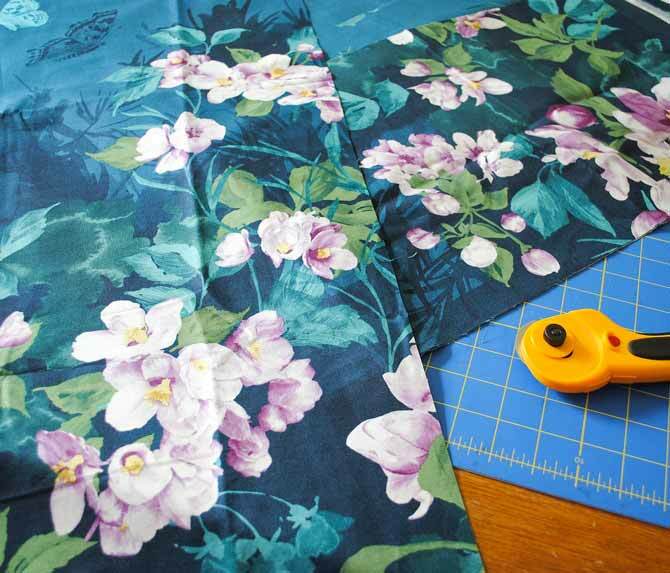 Let’s look at some methods for using fabric panels in quilt patterns. 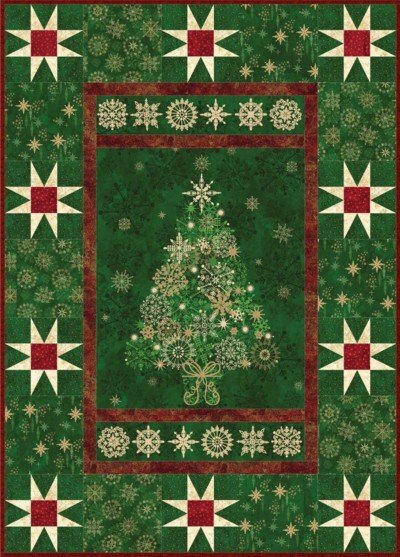 Most quilt panels range in size from 23″ – 26″ wide x 42″ – 44″ long (width of the fabric). But I’ve seen panels up to 35” wide! Many quilt patterns will usually use the quilt panel as it is, just trimming it down somewhat in order to add the borders. Sometimes the panel is cut into sections and then sewn with sashing or other blocks to make the finished quilt top. Any way you look at it, quilt panels are very versatile. 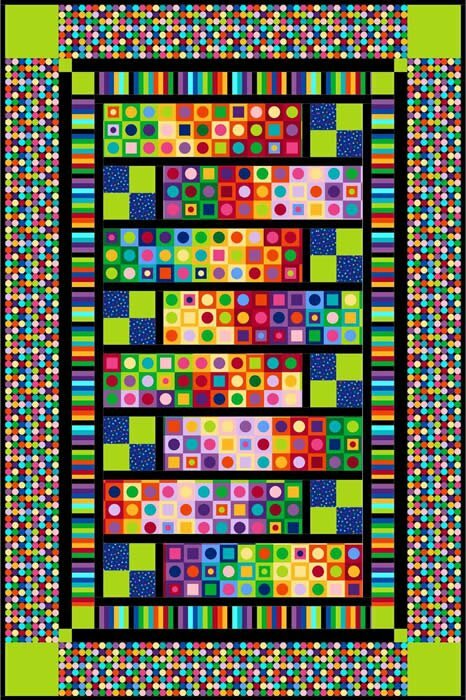 This fun quilt uses Northcott’s ColorWorks Concepts line of fabric and features the “Mod Squad” panel cut into sections. This beautiful lap quilt uses the Starry Night line of fabric from Northcott. Striking star blocks surround the centre printed panel and make a lovely addition to your Christmas Decor. 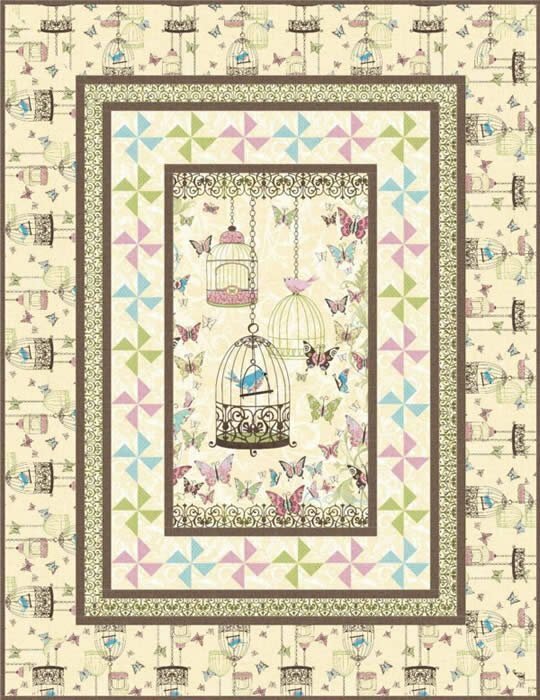 A lovely quilt that would be just perfect for a little girl’s bedroom. 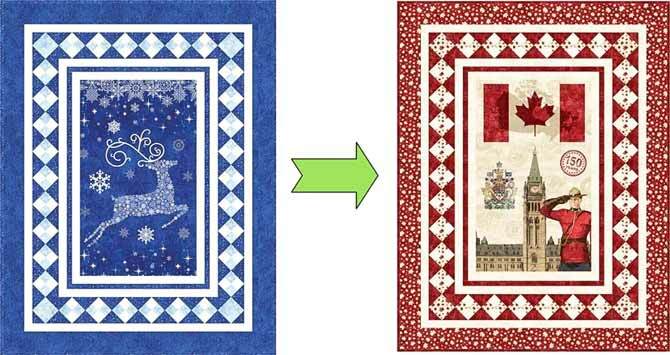 If the quilt pattern has a pieced border such as our “Skating Party” or “Reindeer Sparkle” patterns, you have to make sure that the center panel has the same outside dimensions as the panel in the original design. If your panel is a bit too big, just trim it down to size such as I did with the Canadian Sesquicentennial panel below. But what do you do if your panel is a bit too small?? Just add borders to all four sides of your panel and then trim that to the correct size to fit your pattern!! That’s what I did with the Teepee time panel. I just added an orange 2” border on all four sides and then trimmed the finished piece to the size of the original panel in the pattern. When I saw Northcott’s new Mystic Garden line of fabric, I wondered if I could use that fabric in one of our Upper Canada Quiltworks panel patterns. One of our best selling patterns is “Mountain View” which uses the Stonehenge Aspen Ridge line of fabric. The panel sections are cut 12½” x 22½” and then sewn together with flying geese units and sashing to make the quilt top. Mystic Garden fabrics ready for sewing! If you’d like to follow along this week to make your own version of “Mountain View – Mystic Garden edition”, you can download our pattern from Craftsy or pick it up at your local quilt shop. We’ll have to make a few adjustments to it, but I’ll let you know what they are as we go along. 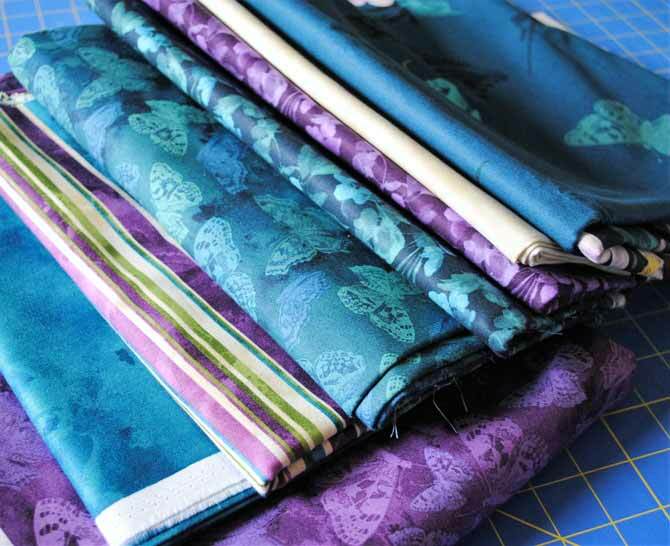 Since I have LOTS of the Mystic Garden fabrics, I’m also going to make a lap quilt. I’ll give you the fabric requirements for that project on Wednesday! Since Mystic Garden has a running yardage fabric that looks like a panel (and can be cut into whatever size I want), I figured that it would probably be quite easy to use it in the Mountain View pattern. 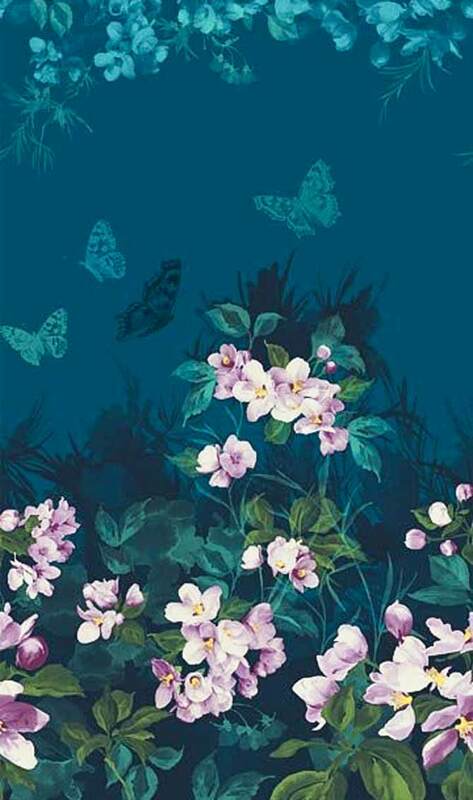 Mystic Garden has a running yardage fabric that looks like a panel and can be cut into whatever length desired. It would’ve been GREAT if the fabric was wide enough to cut two sections 22½” long from each 12½” strip so that I could just use the pattern as written, but most quilting fabrics are only 41” – 43” wide. The great thing about this pattern is that I can easily adjust the length of the long sashing strips and borders to accommodate the smaller length of the sections. So, I just cut three strips 12½” x the width of my fabric and then cut each of these in half. After removing the selvedges my two sections ended up being 12½” x 20½”. Now I can use these fabric sections in my original pattern. See, it’s not so hard using fabric panels in your quilting patterns!! Great idea. Thank you for showing new ways to work with panels. I’m not a big fan of panels, but I’m becoming a huge fan of borders! I took Wendy Fleming’s Borders Galore class, and I know I can put borders on anything now! Thanks for a great post showing panels with fun borders: exactly what I want to do – get to the good part! Thanks Angela! I’m glad you found the post informative!